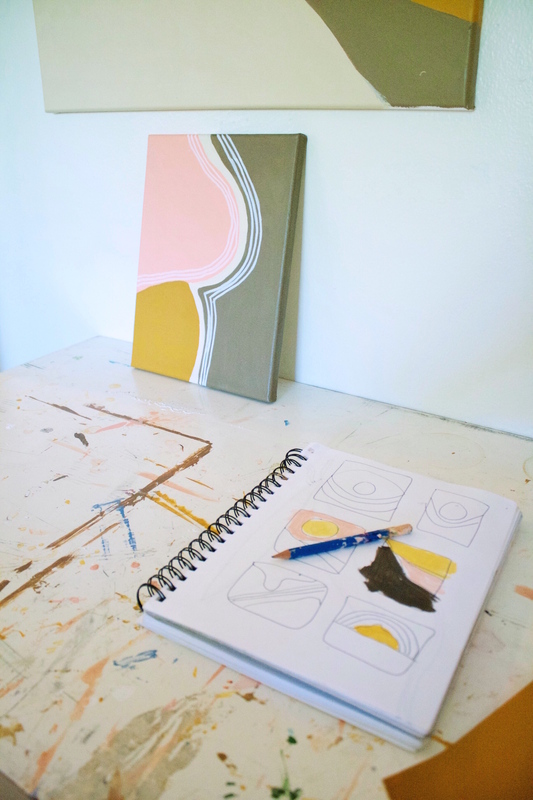 Codie Kyle has all the makings of an artist: a clear point of view, a style that’s all her own, and a space to create. 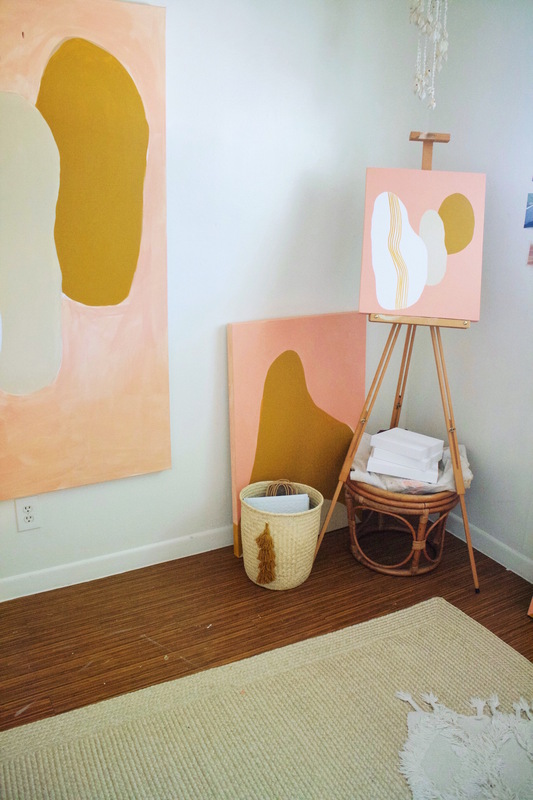 Codie welcomed us into her studio space to share her story and get a glimpse into her creative processes. 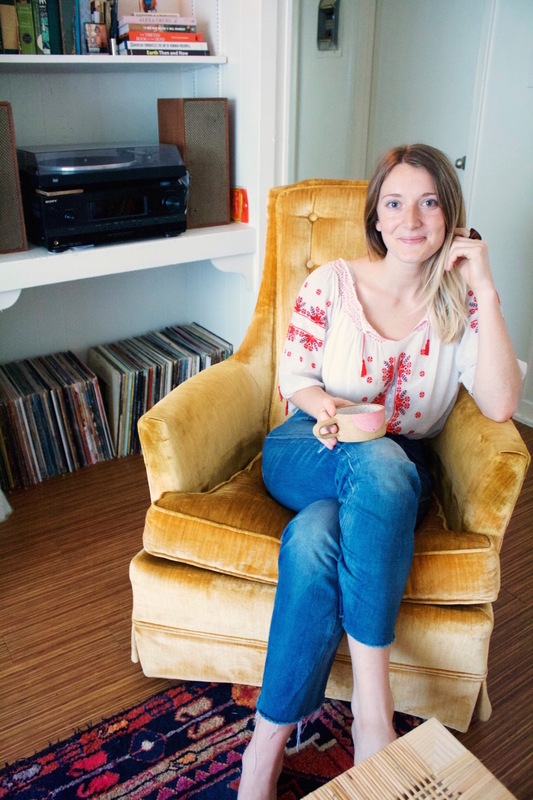 And, as you may imagine, her personality matches her work: warm, inviting and free-spirited. It’s safe to say we left feeling so inspired! 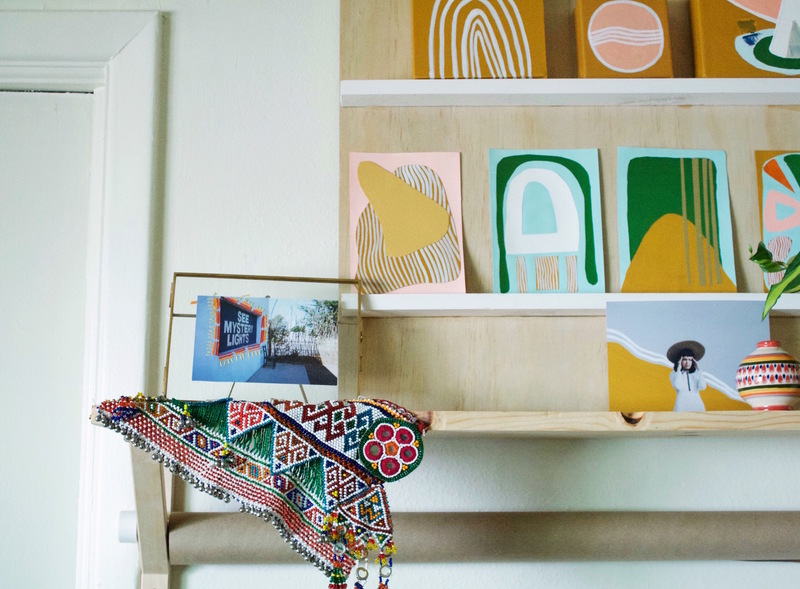 Below, get a peek into this artist’s space and learn what steps she took to pursue CK Goods, her thoughts on entrepreneurship, and how she feels about being a full-time artist. Tell us about your background. What were you doing before pursuing your work full-time? I studied Arts management in college which was essentially a combination of business classes mixed with studio arts classes. After college, I worked at a contemporary art gallery and an art supply store in Charleston, South Carolina. Prior to moving back to Austin, I spent about six months backpacking in South East Asia and New Zealand which is where a lot of my inspiration for my most recent work occurred. I think entrepreneurship is something that has always been big in my family — everyone in my immediate family runs their own business. I guess it’s sort of ingrained in us to have big dreams and go after them. But I never took myself seriously as an artist, even now typing the words “myself” and “artist” in the same sentence makes me feel awkward. But I have always painted or created in some way. My mom is an artist and I remember being her little shadow in her studio growing up. I was so immersed in the art gallery life in college and out of college that I figured one day I would open one up myself; I loved promoting other artist’s work and it was easy for me to hide behind that. I was so shy about painting and showing my work that even posting an image of anything I made on social media was an incredibly awkward and anxiety-ridden event, so the thought of promoting my own work and turning that into my ‘business’ never crossed my mind, but I’m so happy with the way things have worked out. When I had gotten back from traveling, I was painting all day and late into the night. 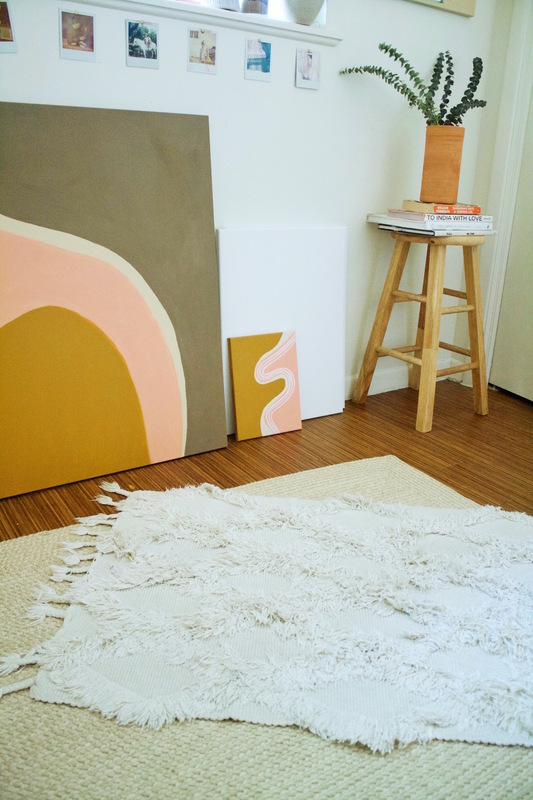 My boyfriend convinced me to post some photos of the paintings I was making and people started to order work from me. Later, I was asked to do a painting series for a larger business and from there it just sort of had a natural evolution. It all happened before I could plan for it, which I think it was the best case scenario for me. As it started to grow I just built all the necessary things for sustaining a brand and business around it. I would say the most unexpected part about having my own business is getting used the fact that it is a living and breathing thing, and in order for it to continue to evolve and positively progress I am thinking about it literally all the time. One rule about working for myself is that I try not to have a strict way of doing things or a typical day. The only thing that is pretty routine for me is waking up and making tea — from there the day could go any direction. I try to keep my schedule as interesting and productive as I can! As an artist, where do you go for inspiration? Nature has a huge influence on me. If I can escape to the desert or to the ocean then that is my first instinct. If not, well, I dive into a good book, thrift shop, listen to music and go for a walk, or simply just have interesting conversations with my friends, I’ve found that these have been the most conducive activities for feeling inspired! But the most important thing I’ve learned is knowing when to stop what I am doing and take a break! It’s so easy to put pressure on yourself to go! go! go! but the most important thing you can do for yourself is to know when to take a step back and slow down. When I do that, I am almost instantly recharged. What are your thoughts on the creative community in Austin? I grew up in Austin with parents that definitely embodied that “Keep Austin Weird” mentality. Through that, I’ve seen the incredible support that Austin has for small independent businesses and the creative industry. But, to be honest, I haven’t lived here since I was 18 and I moved back recently, so I’m still finding my bearings and learning about the creative community here in this rapidly growing city. So far it’s been nothing but welcoming and supportive! I am never not listening to Neil Young, if you know me personally you know that he is my go to, particularly his Harvest album. I just finished a great book! It’s easily become one of my new favorites. It’s called Desert Solitaire, written by Edward Abbey. I also just finished Slouching Towards Bethlehem written by Joan Didion, a pioneering journalist of the 60’s and 70’s. I’d highly recommend all of the above! After a long week my favorite thing to do is pour a glass of red wine, make a really delicious dinner, and put on a record. What is your best advice for someone who wants to pursue their passion and start a business? See more of Codie’s work on her website, CK Goods or follow her on Instagram for plenty of art and design inspo @codieoconnor.